Renowned equine orthopedic surgeon Dr. Larry Bramlage said earlier this month he's not sure what caused this season's much-publicized spike in horse racing fatalities at Santa Anita, but he does know one thing that will help: research. Bramlage sits on the board of directors for the Grayson-Jockey Club Research Foundation, which funds a wide range of projects on equine health ranging from orthopedics to infectious disease to reproduction. The goal is always publication in a peer-reviewed publication, and many of the projects make it there. Research funded by Grayson, among other innovations, has led to diagnostic tests for EHV, influenza, botulism, and Equine Protozoal Myeloencephalitis, the identification of Eastern Tent Caterpillars and their connection to Mare Reproductive Loss Syndrome, and the use of cold therapy to stave off laminitis risk. The foundation recently approved its 2019 grants, authorizing over $1.3 million to eight new projects, nine continuing projects, and three career development awards. 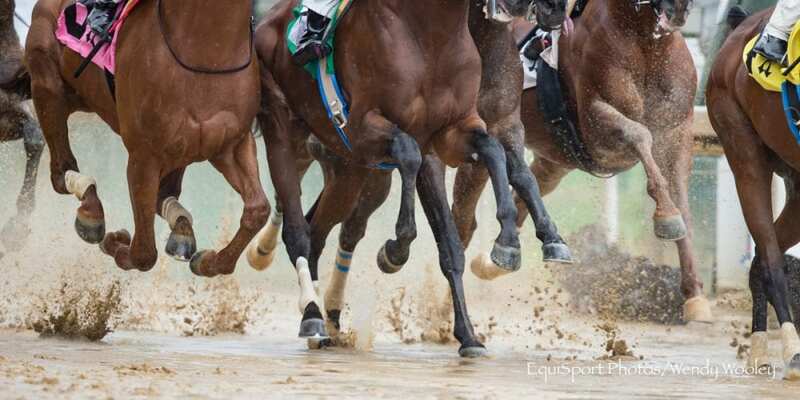 On the list are three projects Bramlage hopes could remove some of the mystery surrounding equine fatalities on the racetrack. Although the Equine Injury Database (EID) has advanced our understanding of on-track safety, there remains much we don't understand. Veterinarian and epidemiologist Dr. Tim Parkin revealed in 2017 that his team was able to explain just 35 percent of the ebb and flow of fatality rates over his years of data collection, meaning there's another 65 percent of variation which can't be explained by the risk factors identified by the EID. One project would use computer modeling to synthesize data to a different degree than what's been possible so far with the Equine Injury Database. The study is the second part of an earlier project funded by Grayson and will take into account track surface conditions in symphony with training program data. The goal of the project is to better identify the 'at-risk window' a horse may enter ahead of a fatal injury in hopes of giving regulators guidelines and timelines to intervene. A second project will look at GPS data from a racetrack in the Australian state of Tasmania, which has been collected for a number of years. Bramlage said the goal is to define possible changes in a horse's stride ahead of an injury. Trainers have long been able to tell when a horse they know well changes his stride – not from soundness to lameness, but from a fluid stride to a shorter, choppier motion. Researchers believe horses compensating for a problem begin taking shorter strides more quickly, doing more work for less effect. This loss of fluidity, if quantifiable, could coincide with a period of increased risk. “This project has preliminary data that shows that observation is true,” said Bramlage. A third project will look at Positron Emission Tomography (PET) scan use in horses as a method of injury detection. PET scans are commonly used in humans as a whole-body scan to look for cancerous tumors. This type of scan has only been possible for horses in recent years as technology has allowed for a portable machine. Bramlage compared its potential use to nuclear scintigraphy or bone scans, which show a clinician areas of heightened activity thanks to radioactive tagging. As with all conclusions from well-constructed research, it will take time to collect data, analyze it, and begin applying it in the real world, but Bramlage believes it's the first step in helping address the problem. This entry was posted in Horse Care, NL Article and tagged Dr. Larry Bramlage, equine fatalities, equine research, Grayson-Jockey Club Foundation, horse racing safety, santa anita closure, santa anita equine fatalities by Natalie Voss. Bookmark the permalink.